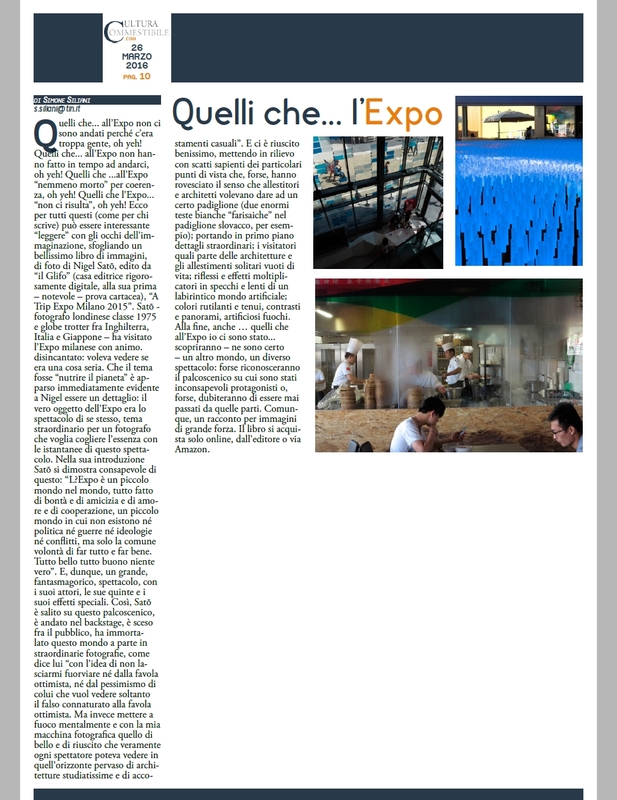 Expo Milano 2015: The journey of an ironic and unprejudiced observer, ready to grasp the nuances of the great spectacle in which the contemporary world has produced an unrepeatable and unique overall image of itself. 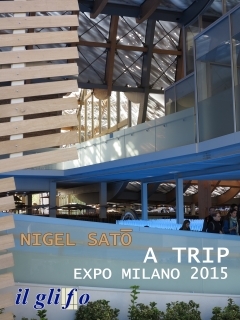 This selection of images taken by Nigel Sato at Expo 2015 comes out on the day after the end of the big event. Those who were at the Expo will find in this book a chance to relive the atmosphere of this unique and unrepeatable experience. Those who were not there will enjoy a late visit to the Expo. Both will better understand what they have absorbed through the huge media coverage of the event, stripped of the clichés thanks to the outsiders view provided by Nigel Sato. This book isn't a catalog of the Expo, but rather an interpretation. Nigel Sato went round and round the Expo taking in the spectacle, giving little attention to the "official" theme of food, but seeing more what the show conveyed in and of itself, focusing on the beautiful, successful, and evocative sights on view amid the colorful juxtapositions and unique architectures. His work sometimes focuses on the official views, but more often juxtapositions created by chance, the details of the view sometimes falling into place in a moment of exhaustion, when in that overload of stimuli the fantasy takes on unforeseen and unexpected meanings. And the swarming spectacle of the audience, who mostly came to take everything very seriously, and paid great attention to all the exhibits. In his photographs the Expo, designed to be light and undemanding, reveals itself through a state of intense concentration on the multifaceted spectacle that it offers.